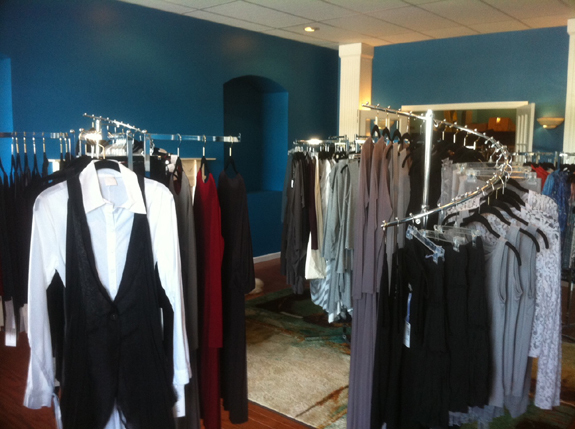 At Today's Clothing we are committed to customer service and satisfaction. Today's Clothing is always happy to receive questions and comments regarding the many collections we offer and is always available to help with your selection. Please do not hesitate to contact us should you have specific questions regarding our selections. Remember to be as specific as possible with your inquires so we may furnish a full and accurate answer. It may be necessary to research your inquiry and seek answers (if necessary) from our various designers to best answer your questions. We will answer your e-mail as soon as possible but please bear in mind some questions may take a little longer to answer. From the South: Take exit 59 off the Merritt Parkway (last exit before the tunnel). At the end of the ramp, take a left, going under the Merritt Parkway. Take a left at your third light onto Lucy Street. At the stop light, continue straight onto Bank Street. The store is directly in front of you in Selden Plaza. From the North: Take exit 59 off the Merritt Parkway (first exit after the tunnel). At the end of the ramp, take a left, Take a left at your second light onto Lucy Street. At the stop light, continue straight onto Bank Street. The store is directly in front of you in Selden Plaza.